Gianfranco Adornato (ed. ), Scolpire il marmo: importazioni, artisti itineranti, scuole artistiche nel Mediterraneo antico. Atti del Convegno di studio tenuto a Pisa, Scuola Normale Superiore, 9-11 novembre 2009. Archeologia e arte antica. Milano: LED, 2010. Pp. 366. ISBN 9788879164658. €74.00 (pb). The purpose of these 2009 "Giornate di Studio," now published in book form, was to throw "some initial light" (p. 7) on the artistic production, specifically in marble, of Magna Graecia—in this review understood as comprising both Sicily and South Italy. 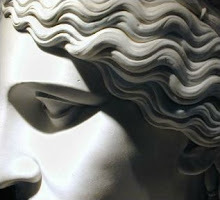 The impetus originated in the desire to counteract prevailing opinion1 that the lack of suitable quarries in that general area had prevented local artisans from acquiring expertise in marble carving and therefore required that either works in that medium or skilled sculptors be brought in from outside sources. This position implies the consequent absence of local artistic idioms, as contrasted with other areas of the Greek world. Gianfranco Adornato, editor/organizer of the congress, is well qualified to challenge this approach as the author of a doctoral dissertation on the sculptures from Metapontum and of numerous articles and essays on specific objects and topics. He was therefore eager to open discussion on the general issue of itinerant masters, imported marbles, and stylistic influences from centers to various peripheries, as it applied not only to Italy but also to other parts of the ancient world. As is probably typical of such gatherings, not all papers presented explored the topic with equal pertinence, but those selected for publication ("the majority," p. 7) had something original to propose and deserve serious scrutiny. All but two contributors to this volume are Italian, reflecting the predominance of local scholars in Magna Graecian studies; the two essays in English are by a Greek and a French author respectively.2 Each article carries its own bibliography and (usually excellent) photographs, which makes for some inevitable duplication; overlaps in subject matter are duly noted in cross-references within footnotes. I noticed few misprints, none serious. Monuments under discussion belong mostly to the Archaic-Classical periods with some later exceptions. A lead figurine in the Florence Archaeological Museum, labelled a "proto-kouros" from Samos, is stylistically attributed to Cretan-Naxian sculptors. An Appendix to the article (66-69), carried out after the congress, shows however that its metal belongs to the area from Thasos to the Anatolian coast and the Troad. A reuse of the lead, of course, cannot be excluded. Be that as it may, M. Iozzo's article is valuable for the survey of marble sculptures in Florence, especially the two Milani kouroi, the smaller one now reunited with its pertinent head (figs. 6-7) and known primarily from specialized publications of limited distribution. Both are currently said to come from the region of the Marche, Italy. A fragmentary lion protome from a sima of uncertain findspot suggests to L. Buccino that "Parian" marble roofs may have existed at Poseidonia, although thoroughly robbed in later times. The three well-known akrolithic heads from the site were probably inserted into limestone bodies (as on the metopes of Temple E at Selinous), perhaps from the Athenaion or the late Archaic temple on the south side of the Forum, near the Macellum. The city obviously had an active school of terracotta and limestone sculpture, as attested also by carvings from Foce del Sele, but the few marble items may also have been locally produced under similar "Samian-Milesian" influence (107). Evidence, admittedly (112), may be too limited for proper assessment. The same stricture applies to the remarkable (and little known) kouros from Reggio Calabria, stylistically related to examples from the eastern coast of Sicily (Katane, Leontinoi), which C. Greco considers an Apollo. She may well be right, not only because of the extended arms but also for the archaizing flavor of the head with its elaborate coiffure and the faint smile. The many finds from this extraurban sanctuary have prompted scientific analyses of all architectural and statuary marbles from an area—like Sicily—deprived of local resources, from the Archaic to the Hellenistic period. Contributing quarries have been identified in various locations of Greece, the islands, and Asia Minor: as many as four on Paros (one yielding dolomitic marble), several on Naxos and Thasos, the latter already active in the sixth century. Results are synthesized in seven Tables (197-202). Among the Archaic surprises is the use of Pentelic marble for a kouros, apparently unique for the type and proof that the quarries on Mount Penteli were used as early as the mid-sixth century, as well as the total absence of Asia Minor marbles, despite alleged Samian stylistic influences (195). During the fifth century architectural prefabricated elements, perhaps roughly finished , were probably produced for export by Parian artisans (rather than by skilled masters, 192), but a Cyrenaic school of carvers is postulated on the evidence of limestone sculptures and architectural features on rock-cut tomb facades (196). Varied sources of marble in Hellenistic times correspond to different styles. Materials again form the basis for comments on Lycian sculpture (by A. Poggio). The Archaic period, with few exceptions (probably finished imports), uses local limestone, especially for pillar monuments, under Anatolian influence. Marble appears early in the fifth century on the Harpy Tomb which favors Greek style and iconography. It was a prestigious medium, probably specifically commissioned, perhaps through Carian intermediaries, and accompanied by itinerant masters that put their imprint on later production. An analysis of Ionian and Attic influences on Lakonian "heroic reliefs" from the sixth-fifth centuries (by A. Perfetti) seems abbreviated and could have profited from more illustrations beside the traditional ones. More interesting, because less familiar, the survey of funerary monuments from the area of Syracuse (E. Ghisellini) is based on only six items (one on a block reused from a figured frieze) that range from an appliqué to relief stelai to a figure almost in the round with concave back probably to be set within a naiskos. The analysis here is purely, if extensively, stylistic and although conclusions seem plausible, it is striking that all examples were found long ago by Paolo Orsi—none in more recent excavations despite intense activity in the area. Could this scarcity of evidence be attributed mainly (294) to limited commissions by wealthy patrons and different local funerary conceptions? Equally important is the concluding essay by C. Marconi, which could have served as preface, rather than epilogue, to the entire volume. Its very title hints at the undercurrents that have often beset discussion of sculptures from Magna Graecian findspots. Local scholars want to believe in indigenous manufacture, out of a sense of ethnic loyalty; foreign archaeologists tend to consider everything away from Greece proper as provincial and therefore intrinsically inferior or fully derivative. Handbooks on Greek art used to omit Magna Graecian production entirely, or devoted to it shorter sections that looked like afterthoughts. Marconi avoids patriotic impulses by shifting the issue to the 14th -16th centuries. He presents five case studies, ranging from local, if somewhat rough, execution well before Carrara marble was extensively imported (in 1460), to the arrival of sculptors trained elsewhere—either for a short visit or for a life-time permanence continued by their descendants—and even to the acquisition of a monument originally built for a different setting (Florence) but then disassembled and shipped to Palermo, where it was rebuilt and amplified (345). Anyone or several of these scenarios could have occurred in Archaic/Severe Magna Graecia. Marconi brackets these potential parallels within discussion of current connoisseurship—questionably feasible for statuary often lacking diagnostic features such as heads and hands, frequently selective, and inevitably subjective (340-43)—and analysis of working methods, from preliminary carving in the quarry (in the Archaic period) to the export of blocks to be sculpted at destination (by the second quarter of the fifth century), with the implied movement of the accompanying sculptors. He wisely concludes that "connoisseurship of Magna Graecian marble sculpture must remain an attempt at interpretation, without pride or prejudice." (349). I add a conclusion of my own. Many of the publications here cited in the bibliographies are catalogues of exhibitions, Festschrifts, and proceedings of national and international congresses that even a good academic library like that of Bryn Mawr College cannot afford to buy. It is to be hoped that such contributions will soon be duplicated or produced electronically to reach the wider readership they deserve. 1. Best exemplified by E. Langlotz, Die Kunst der Westgriechen im Sizilien und Unteritalien, 1963. 2. Although the latter would have been better served by the original language, or translated into Italian rather than English, given the similar conventions between the two languages. Regrettably, no brief identification or address for each author is included, as now common in works with multiple authorship. 3. I certainly agree, having long advocated the existence of an "international style" in Greek sculpture from ca. 550 onward : The Archaic Style in Greek Sculpture, 1st ed., 1977, 64; 2nd ed., 1993, 80-81 and passim. ] See N. Kaltsas, "Die Kore und der Kouros aus Myrrhinous," AntP 28 (2002) 7-38, esp. 28, pl. 20a. Palagia (p. 44) gives the height of the New York kouros as 1.84 m. but the statue, newly measured, is actually 1.946 m. from top of plinth to top of head: BMCR 2003.04.05 n. 4. 5. The two statues, now in the Athens National Museum, were seized by Greek authorities on May 14, 2010. Their findspot has been located in the Corinthia, near Tenea (though the latter has not yet been identified). Kouros A measures 1.82 m., Kouros B 1.78 m. Preliminary notice in JHS-AR 56 (for 2009-2010) 25. Other additions to be considered are the ca. 550 lifesized knee in Naxian (?) marble in the Corinth Museum, S 614: B.S. Ridgway, "Sculpture from Corinth," Hesperia 50 (1981) 423 and n.7, pl. 91a; and a fragmentary limestone kouros from Isthmia, M.C. Sturgeon,Isthmia 4, Sculpture I, 1952-1967(Princeton 1987) 68-70, no. 3A-B, pls. 28-29 (Corinthian? Ca. 540). Despite the Argive sculptor, a general North Peloponnesian style is advocated for Kleobis and Biton by M. Mertens Horn, "In der Obhut der Dioskuren. Zur Deutung des 'Monopteros der Sikyonier' in Delphi," IstMitt 46 (1996) 123-30 (not cited by Aurigny). 6. What Belli Pasqua calls "Capo Lacinio" is cited by Rocco as Capo Colonna. Both authors refer to the Athena Polias Temple as "Peisistratid" (e.g., 162 and 172 respectively), but its connection with the sons of Peisistratos would be tenuous at best if a dating around 510 B.C.E. is valid: see, e.g., A. Stewart, "The Persian and Carthaginian Invasions of 480 B.C.E. and the Beginning of the Classical Style: Part I, The Stratigraphy, Chronology, and Significance of the Acropolis Deposits," AJA 112 (2008) 377-412, esp. Table 2 on p. 407. The cultic definition is therefore preferable. Double corner contraction is traditionally considered a Syracusan (Deinomenid) innovation. 7. The temple at Kaulonia, recently re-investigated, may have had akroterial sphinxes, perhaps supporting riders as at Marafioti (Lokroi) because of fragments not only of wings but also of human arms and animal paws: Parra, 147. 8. E. Paribeni, Catalogo delle Sculture di Cirene. Statue e rilievi di carattere religioso (Rome 1959) , 15 no. 15, pls. 20-21; here p. 155 fig. 15 and, doubled and reconstructed on a sphinx body, p. 209 fig. 16. Luni dates the comparable examples form the Aphaia Temple on Aigina to 495-490 and certainly "not later than 480" (191). But see A. Stewart, "The Persian and Carthaginian Invasions of 480 B.C.E. and the Beginning of the Classical Style: Part 2, The Finds from Other Sites in Athens, Attica, Elsewhere in Greece, and in Sicily; Part 3, The Severe Style: Motivations and Meaning," AJA 112 (2008) 581-615, esp. 593-97, with a date in the 470s. 9. The general thesis that marble was carved locally at both selected sites is certainly valid, but the list of extant items from Metapontum (310-11 and esp. n.13) seems composed of relatively small fragments, obviously attesting to extensive imports of the medium but hardly likely to reveal a distinctive style. On the discussion of bronze vessels I miss the comprehensive study by B. Barr-Sharrar, The Derveni Krater: Masterpieces of Classical Greek Metalwork (Princeton 2008), with proper consideration of Magna Graecian production. 10. A few suggestions and additions. Could the inner modifications to the Hephaisteion be connected with the peculiar arrangement of the ceiling coffers? See W.F. Wyatt, C.N. Edmonson, "The Ceiling of the Hephaisteion," AJA 88 (1984) 135-67. On the Hephaisteion base, see A. Kosmopoulou, The Iconography of Sculptured Statue Bases in the Archaic and Classical Periods (Madison 2002), 126-30, 242-44 no. 61, figs. 97-100. For a more recent account of the Olympia pediments, add J. G. Younger, P. Rehak, "Technical Obsrvations on the Sculptures from the Temple of Zeus at Olympia," Hesperia 78 (2009) 41-105 (cited, however, by Ghisellini). A. Patay-Horváth is now attempting a 3D scanning of all the sculptures from that temple using innovative software that potentially allows for identification of master hands; for a limited application of the method, see his "Virtual 3D Reconstruction of the East Pediment of the Temple of Zeus at Olympia —A Preliminary Report," Archeometriai Mühely/Archaeometry Workshop 7.1 (2010) 19-26.